The N.E.T. Team was brought into the community on a temporary, four-month deployment in the fall of 2011 as part of the City’s Violence Reduction Action Plan. The deployment in McCauley was extended for an additional year. We’re very proud of the work that was done by the Team during this time. Highlights of the N.E.T. Team’s time in McCauley include: the successful Reclaim the Lane project, which addressed disorder through community engagement and public art; work done to strengthen and support the United McCauley Crime Council; and, the creation of the 1 = What? Campaign (resulted in high volume, high percentage Black Label Big 10 beer being removed from Alberta shelves by Molson/Coors). We believe the Team was able to add value to the resources that existed in the community prior to their deployment. This was accomplished by working with residents, business and organizations to reduce and prevent crime. That said, the decision was made to conclude the N.E.T. Team’s deployment in McCauley as of December 31, 2012. Leaving a neighbourhood is never easy for N.E.T. Teams and for the community members with whom we’ve built relationships. Our goal is to assist neighbourhoods with their own mobilization over the short-term. The long-term hope is that the initiatives will be sustained through community partnerships and participation. There are many things happening in McCauley and a lot of very passionate people are committed to creating positive change in the area. 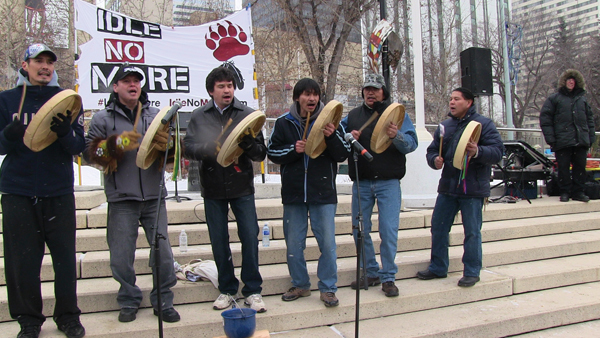 McCauley was adequately resourced with policing and City of Edmonton services prior to the N.E.T. deployment in 2011.Those resources will remain and continue to work with the community. Kris Andreychuk is with the City of Edmonton, Community Services, Neighbourhood Empowerment Team (NET).